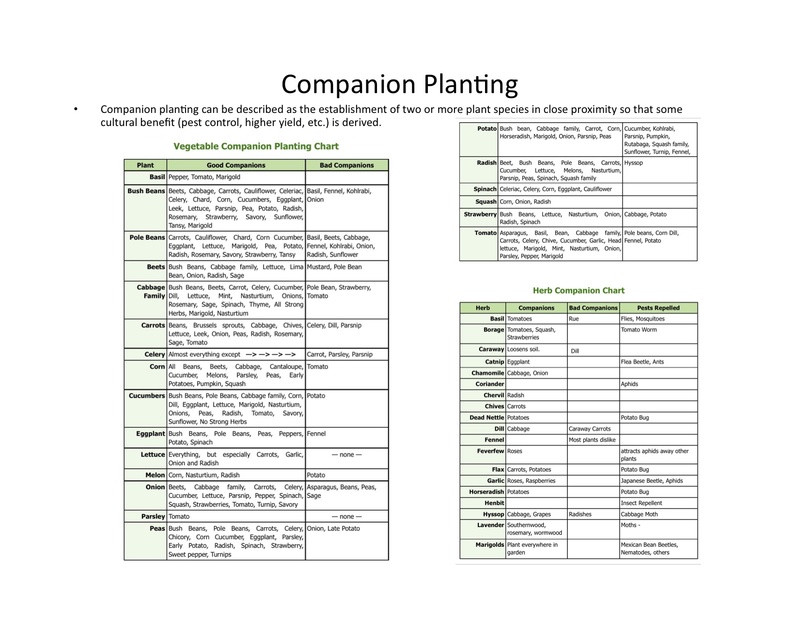 Companion planting (aka interplanting, bio-diverse planting) is an ancient farming method of using different plant species, planted in close proximity, to enhance and support each other. Among its benefits are reduction in the numbers of plant pests, enhanced growth and flavor, attraction of beneficials and weed suppression. 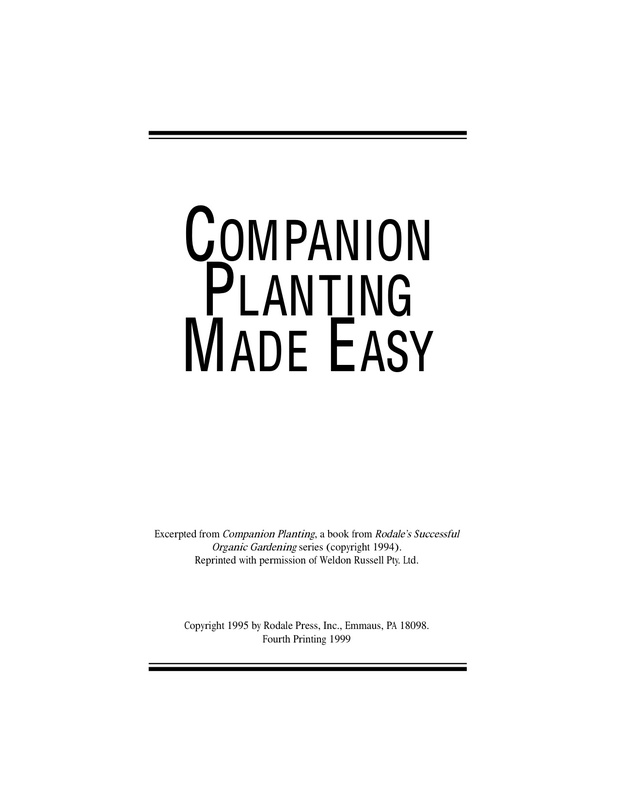 Evidence has been found of this planting method being used for thousands of years all over the globe: the Roman Empire, the Americas and Asia. For example, about 2,000 years ago the Roman agriculturalist, Varro, declared “Large walnut trees close by, make the border of the farm sterile.” The ancient Romans also found that orchards grew with less disease and pests if they planted grains alongside their fruit and nut trees. Interplanting was also a fundamental practice in Asian cultures. 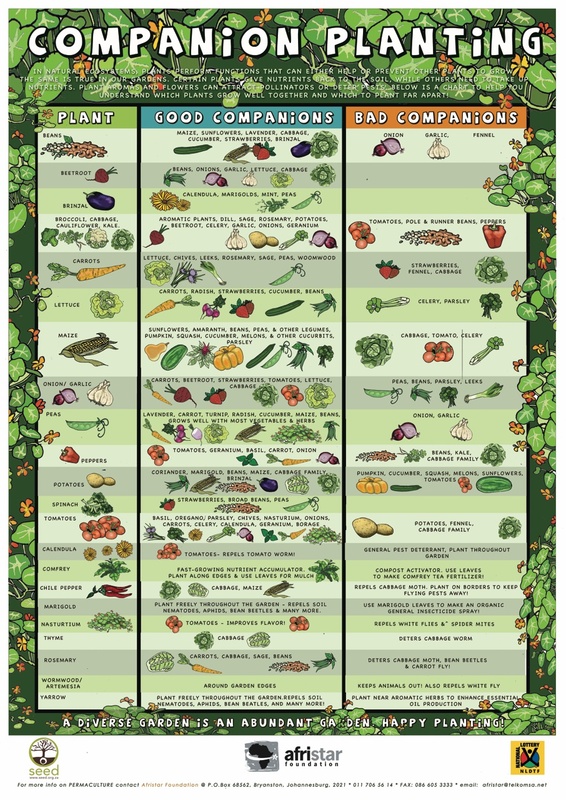 The most well-known example of companion planting is the Three Sisters Garden (planting corn, pole beans and squash together). While our folklore traces this back to the Iroquois Indians, it has been connected to the ancient indigenous peoples of South America as well. In this planting strategy, the corn provides support for the pole beans, the pole beans enrich the soil by fixing nitrogen from the air into the root zone converting it into a form that is easily taken up by the corn’s roots (a heavy nitrogen feeder). The squash’s big leaves then shade the feet of the corn and beans to slow the evaporation of moisture from the soil. Though this method has been handed down from generation to generation throughout our history as agrarians and all around the globe, there is little significant university research that has conclusively proven that it works or even begins to explain how. 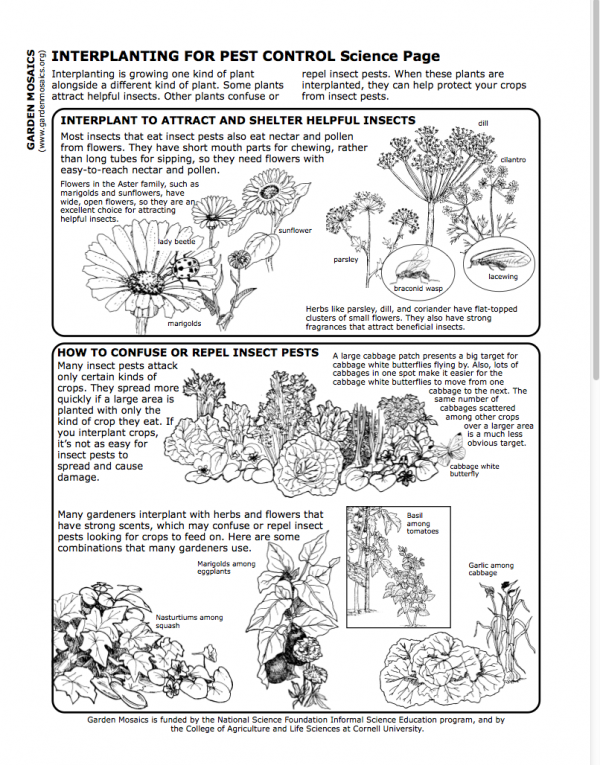 Despite the lack of definitive proof, as an organic gardener who happens to be a Master Gardener, I have witnessed the benefits of this planting strategy throughout my life/career and consider it one of the most important components of my organic gardening practice aside from sound soil food web management. 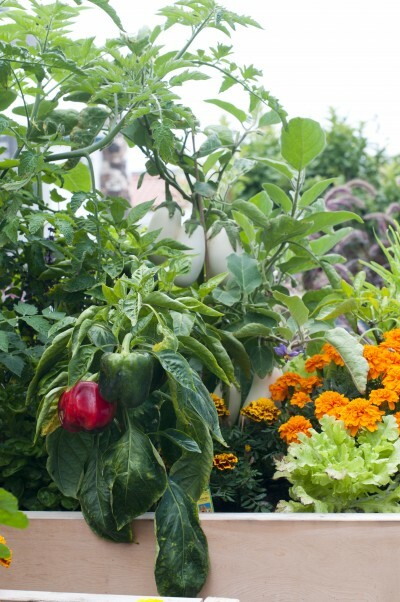 When considering an organic approach to gardening, it is important to note that organic gardening practice is composed of many elements effecting a whole interconnected system which depends on insects, birds, shade, sun, and all other aspects of a “community” of living things. The elements of organic practice include soil food web management, planting strategies (bio-diverse, bio-intensive, interplanting), fertilizers and pest/disease management. 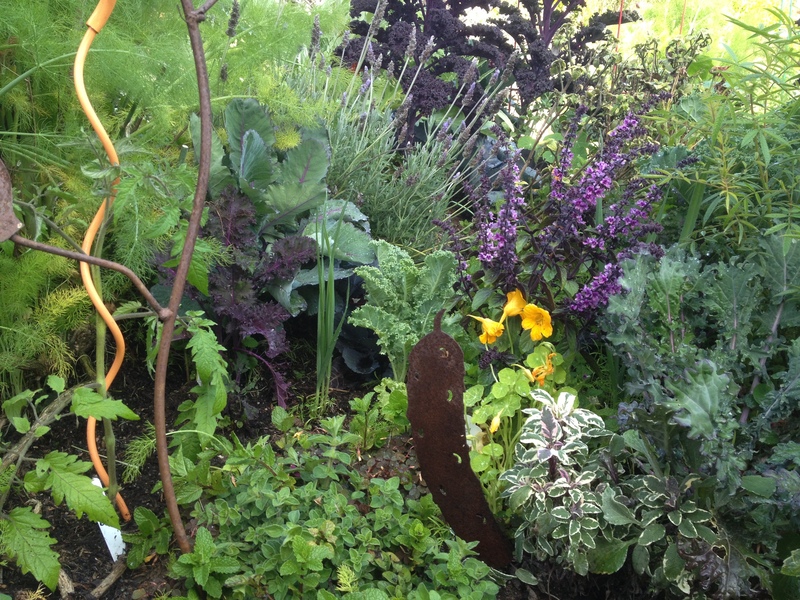 Keep in mind that applying just one facet of organic practice will not achieve a goal of a balanced garden. When all elements of organic practice are followed, the result over time is high yield and better taste while allowing you to avoid the use of pesticides and herbicides and reducing your use of fertilizers. 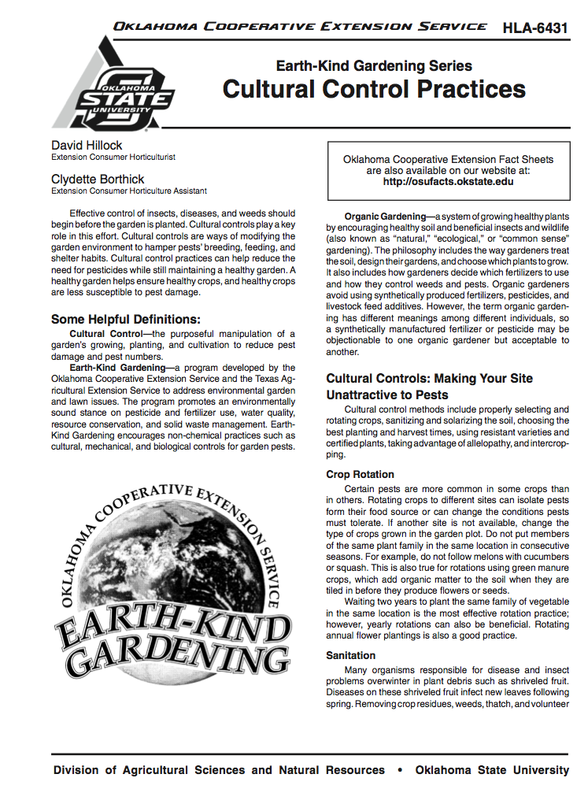 By using good, sound organic practice including an interplanting strategy – planting numerous types of crops (companion planting) rather than the traditional “Ag” approach of planting in monocultures (one type of crop) – you create habitats for beneficial insects or animals, keep the number of problem pests in check, promote bio-diversity and enrich your soil to create a living ecosystem of beneficial bacteria and helpful fungi (important elements of a healthy soil food web). For me, and the clients I garden with, this IS the only way to garden…in concert with, instead of fighting Mother Nature. To help you get started, I’ve gathered together some resources that I found to be very helpful. I hope you do too. 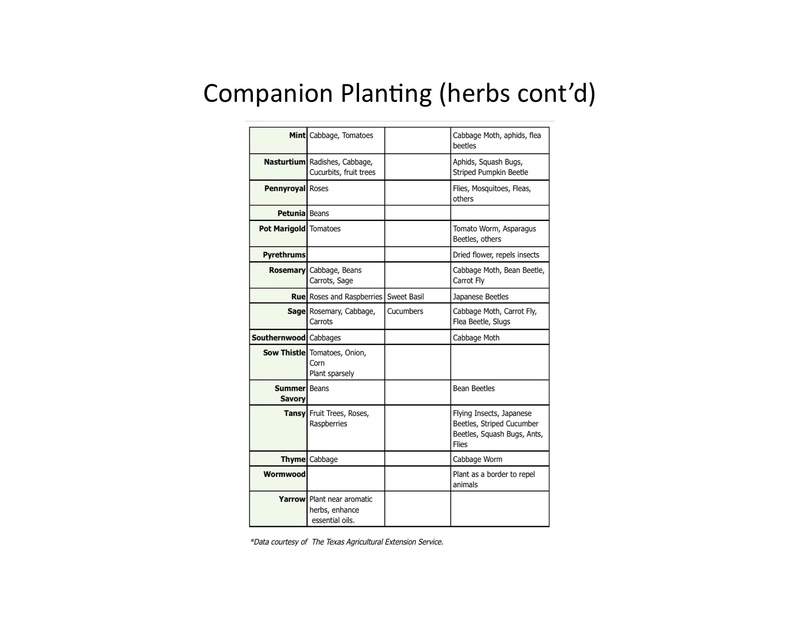 Add companion planting to your organic practice toolbox. Try these companions and see how they work for you. You may find that some of the ‘bad’ companions may not misbehave in your garden. Fennel, for instance, is usually thought to be “uncooperative’ in an interplanting scheme, however, fennel is and will continue to be a focal point in my home and restaurant gardens. It might be my parenting skills ;), but they certainly play well with others in my experience! So…go on and experiment. You can do it…with a little help from your friends! Thanks for providing such an awesome site. It has been a pleasure to read. Thanks for your kind words, Tammara!! Happy that you’re finding the website useful. This is an incredible compilation of resources–what a gift you have given us, and it’s extra special for having been shared on the Vernal Equinox! Thank you! Any advice on rodent resistant plants that are edible other than nightshade and alliums? And thank you for the info provided incredibly concise and useful. Thank you for your comment. 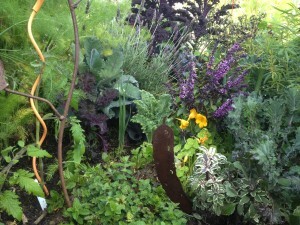 I have found integrating peppermint or spearmint and lots of Rosemary in the garden helps. Their essential oils are the active ingredients in organic rodent repellents. They don’t like brushing up against these aromatic plants. Sorry for the delay in my reply but my site stopped notifying me of comments. Rodents really like most veggies unfortunately. 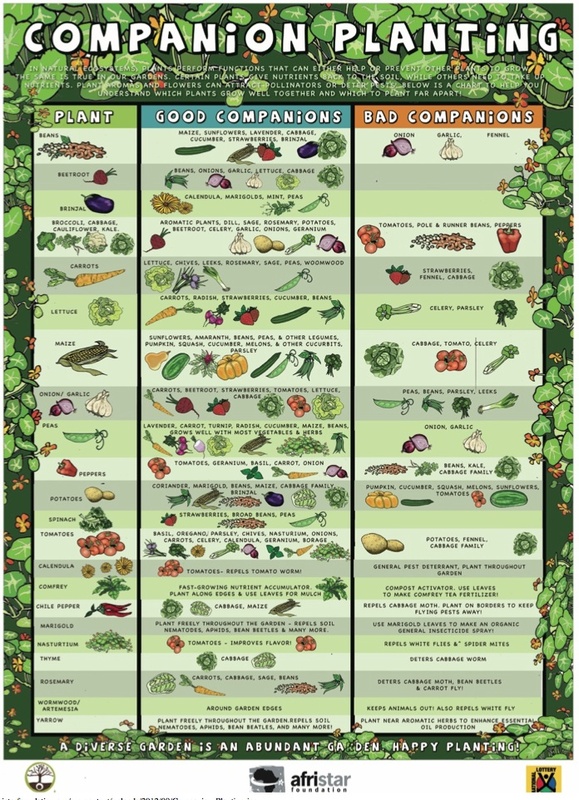 Although they won’t bother the leafs of nightshades, they’ll eat most fruit in this family except for eggplants and hot peppers I’ve discovered. 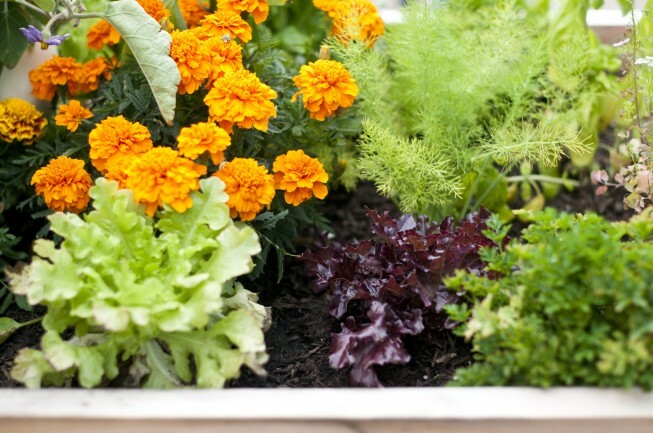 Try planting lots of rosemary and spearmint and peppermint and let the mint run a little. The essential oils irritate them when it rubs off on their fur as they pass through these plants. Have to be close together though.